Another uninspiring Everton performance seen them hammered 4-0 at Wembley. Tactically poor, but here’s how our players fared. Manager rating – 2 – We’ve been crying out for another striker and when we finally sign one Allardyce insists on playing only one of them. His substitutions have been lacking adventure since he arrived, opting constantly for like for like substitutions. 3-0 down and he takes Tosun off and brings on Calvert-Lewin, Bolasie replaced by Lennon and finally for the clean sweep, McCarthy replaced by Schniederlin. Allardyce must do away with this formation which has failed us under himself and Koeman. Jordan pickford – 4 – Wasn’t at fault for any of the goals and there wasn’t a great deal he could do about either. Communication may have been missing with Martina for the first goal. Jonjoe Kenny – 4 – Didn’t do a great deal wrong, over committed when Alli turned him and went in one on one. Passing has improved. 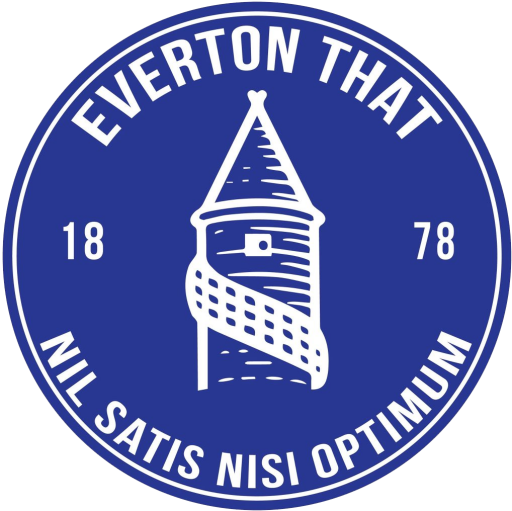 Mason Holgate – 3 – A nonexistent performance, not the last time you’ll hear that through these ratings. Failed to be in the right position for at least two of the goals. Still the best option we have, though. Phil Jagielka – 3 – After a good resurgence in the team and in his game, Jagielka hit a wall today. Miles out of position for the first goal and left Holgate with too much to do on one too many occasions. Cuca Martina – 2 – I’m sick of highlighting how hopelessly bad he is. He is the kid you get in a Sunday league side that you can’t bin off but can’t kick a ball either. A rabbit in headlights and needs to be put out of his misery before the next match. Idrissa Gana Gueye – 3 – An odd performance from another wise consistent performer. Barely found a pass all game and was over run, McCarthy didn’t help. James McCarthy – 3 – I’m not really sure what his purpose in the side was today and I don’t think he did either. Prevented nothing, rarely got on the ball left Gueye with no protection on numerous occasions. Yannick Bolasie – 4 – Still miles off and was ineffective most of the match. Needs to work on his first touch. Wayne Rooney – 2 – Irrelevant, nonexistent and immature tackles throughout the match. Needs to be closer to the striker if he is going to play in the number 10 position. Must start performing better and stop getting involved in stupid battles that don’t concern him. Gylfi Sigurdsson – 4 – Linked up well during the first 30 minutes, but like the others he became nonexistent and without possession. Cenk Tosun – 5 – He provided us with enough glimpses to show he can be what we’ve needed. Was left isolated by a terrible formation Allardyce and our previous manager has insisted upon. Dominic Calvert-Lewin – 3 – Needs to play with another striker. It was useless bringing him on because as he has found in previous months, he is completely isolated and marked out of the game by two centre backs. Aaron Lennon – 3 – No impact on the game mainly because he had no possession. Perhaps Lookman should have replaced Bolasie and built from his performance against Lpool. Morgan Schniederlin – NR – No comment to make, but i’m telling you now that Tom Davies should have been on the bench if it was a straight decision between the two. Why Everton’s board have a responsibility to protect their youth products through uncertain times.